How to spell and remember the 100 most misspelled words as well as really long words. You can remember them and how to spell them forwards and backwards. I read Alex’s book and it is brilliant… and quite refreshing. It gives me hope that the things I have been trying to get into schools for four decades will at least find their way into the hands of kids everywhere… Great work!!!! “Wow! Well done Alex. This book is a must for all children and their parents. It demonstrates that a child who is given a love of learning, the excitement to discover more and a learning strategy that works for him or her, has no limits. I would strongly suggest that teachers read this book and learn from a voracious learner and a young boy with a passion, just how much is possible. This is how all the children in your class can be! International Director of Education for the Society of NLP. Brilliantly simple and simply brilliant. Alex’s book dresses one of the key issues facing children and adults alike. If you can’t spell you can look up the word and you can’t connect it with previously known words. Great Job Alex! Sounds so interesting, must get one for me. An adult. Hi Debbie. It’ was lovely to meet you very briefly in London. I’m very fired up about using this method with my class now. I may be in touch! 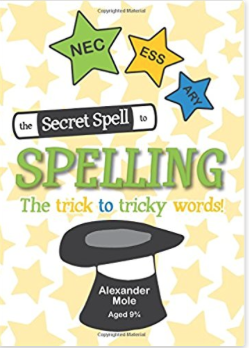 The Secret Spell To Spelling eBook. Available as a download and physical book. 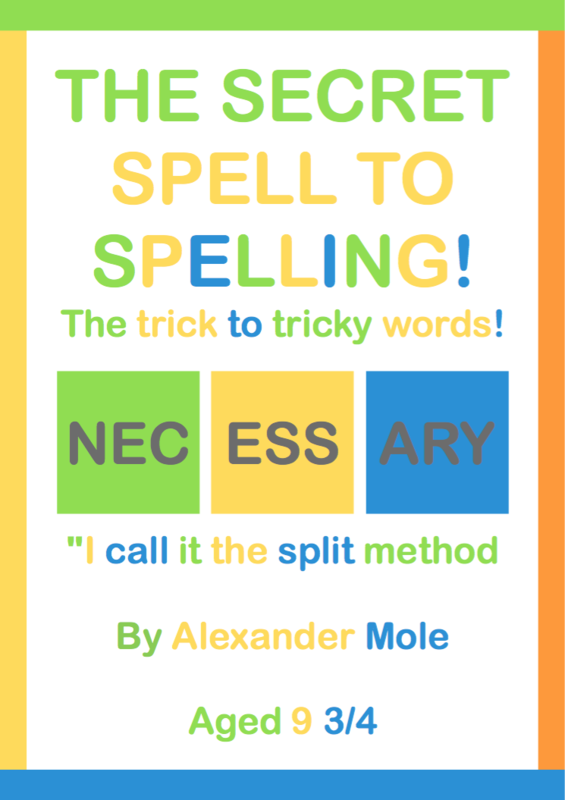 50 pages showing you an amazing way to improve your spelling skills.